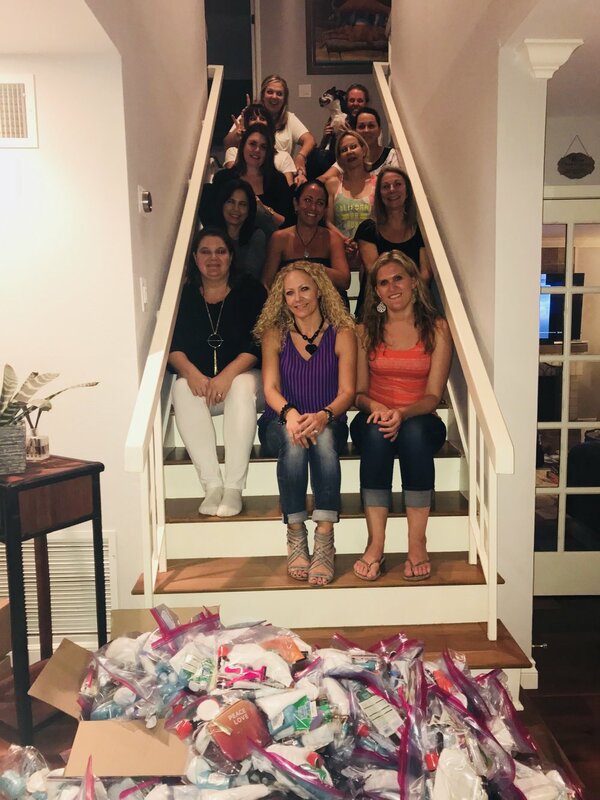 We are in year 3 of our women helping women initiative that centers around us bagging toiletries and personal care items and donating them to various women's charities. Three years ago my girlfriend Oksana and I when traveling a lot realized we came home with a lot of travel size toiletries and just kind of kept them with no real plan until we decided to the first year bag them up and donate to charity. We put together roughly 25 zip loc bags full just from travel items and samples we acquired otherwise through the year. Human Options was our charity of choice one that helped battered women and they were so thankful. We felt great and after sharing the story with friends we had a couple other women wanting to contribute. Year 2 we opened it up to 6 women and we all brought our hotel travel toiletries but not everyone travel and those women contributed by buying items online. It was great, we completed about 50 baggies full of toiletries and various beauty sample items. Donations were given to Human Options and Families First both very thankful for our contribution. This year we gathered 12 women and coordinated what we had and all supplemented with online purchases of various toiletry products. Our goal was 100 bags and we hit 107 total. We spread the baggies across 3 charities this year. Human Options, OC Women 2 Women and a little girl that hand delivers toiletries to families living in Orange County motels. We are going into year 4 with plans to get bigger and make a bigger difference. For anyone that wants to contribute either time in assembling bags or donate products no matter how small we will welcome it. 100% of the items we collect go to charity and are hand delivered by one of us. If you work for or know anyone that works for a company that makes any toiletry products please let me know so we can contact them for donations as well. This is to show how people can make a difference for others. Women helping women and supporting each other is my passion and goal. Spreading positivity "Sparkle" and helping each other through tough times. Let's make this huge for next year so more women can be awesome and sparkle.